Since Kickstarter was founded in 2009, it has been the groundswell of support for individuals to fund innovative and unique projects, empowering fans to support creators whose projects they want to see materialize. There are some big names such as Pebble and Ouya that have grown to become huge brands, proof enough that crowdfunding is a viable option for new ideas and projects that may excite fanatics. Which campaigns have captured your imagination and went on to become a success? Let us have a look at some of the most interesting business ideas that raised over $1 million Kickstarter. 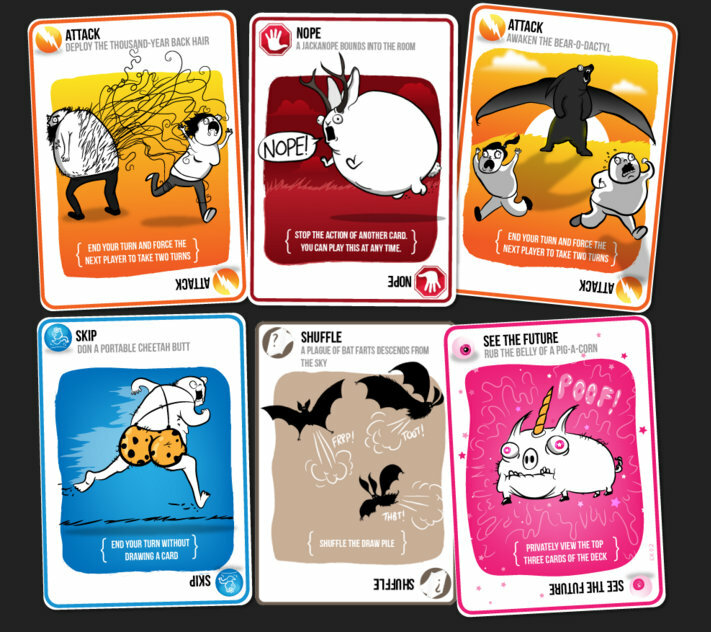 This is a distinctive Russian Roulette-style card game designed for “people who are into kittens, laser beams, explosions, and sometimes goats.” Created by game designers Shane Small and Elan Lee and cartoonist Matthew Inman, the project was successfully funded in February 2015 by 219,382 backers and was based on popular webcomic ”The Oatmeal”. Reading Rainbow was a popular Children’s TV show that ran on PBS for 23 years before it was in 2006. The show’s host LeVar Burton took to Kickstarter in 2012 to raise funds for a Kindle Fire and iPad “virtual field trip” app and sure enough, the world was ready for it. The idea surpassed 500% of its funding goals and is now already available in the market. Exploding Kittens is an innovative game of card that collected more than $8 000 000. 3D printing is still a pretty new technology today, but 3D drawing is even newer. Created by WobbleWorks, 3Doodler is an amazing pen that uses the same material as 3D printers in a pen that lets you draw 3D structures in the air. The Kickstarter project was so successful that it intrigued the imagination of over 26,000 backers and artists all over the world. The role-playing video game franchise Shenmue first appeared in 2009 and later followed by a sequel in 2001. The Kickstarter project was intended to fund the third edition of the game developed by the series’ original creator Yu Suzuki. The fans fully funded the idea and the game is expected to launch in December 2017. The idea of an all-in-one travel jacket by Hiral Sanghavi and his wife Yoganshi set the record as the most over-pledged project on Kickstarter by exceeding 45,000 percent of the goal. This is a jacket that comes equipped with 15 other uses including a neck pillow, gloves, eye mask, pockets, and blanket among others. Misen is a high-quality chef’s knife made from premium materials and featuring a unique design and a low price of just $65. The creators came up with the idea of revolutionizing the cooking experience by providing a simple kitchen knife that eliminates frustrations associated with existing kitchen knives. PicoBrew Inc. secured over a million dollars from 1550 backers to make and sell a beer appliance for the home beer enthusiasts. Pico is a compact and fully automated beer brewing appliance that makes tasty mini kegs of fresh beer within just two hours. It is marketed as easy to use, convenient, and comes with PikoPaks, pre-packaged ingredient modules. The idea behind Neeo is to solve the perennial “where is the remote control” problem using a smartphone. This remote controller is designed to provide a small “hub” that supports every remote connectivity technology from Infra-Red and Bluetooth to Wi-Fi and Home Automation standards configurable on the phone. After the TV series, Veronica Mars was canceled in 2007, creators turned to the show’s followers (Marshmallows) for funds to produce a movie as a sequel to the show. The project initially aimed to raise $200,000, but this goal was surpassed in just hours after launch. The film was made, and it was released in theaters in March 2014. Probably the most widely known Kickstarter project today, Oculus Rift is a virtual reality headset that has grown to define an entire product category despite the fact that it is not yet officially available to the public. The manufacturers are refining the device’s hardware and sourcing for applications and games as they ready up the second version for consumer release. For many entrepreneurs with unique ideas, Kickstarter is a level playing field where they can find people ready to contribute cash to help make their dreams a reality. These ten interesting ideas are proof enough that a million-dollar idea can easily get matched in real money through crowdfunding. How do you find this article, do you like it? If so, please, share it with some friends on your top social site and help us write many more cool topics like this. Thank you!